Links to websites of related interest. Dedicated to the world of model bus modelling. The Model Bus Federation was formed in 1968 by two enthusiastic bus modellers as a means of extending their hobby by communicating with other modellers, and swapping ideas and tips to help improve their modelling. Little did they realise that, over the years, the MBF would grow into a world-wide association. The MBF is still the only organisation devoted to the world of model PSVs which has its strength and base in the UK. Indeed, the growth of the bus kit industry over the years is due in no small way to the efforts of the MBF and its members who have helped to stimulate the growth of a new industry to cater for the demand. The Association caters for both modelling and collecting interests, and for models in all scales from all countries. Members receive a bi-monthly newsletter, 'Australian Model Bus'. The MBAA also enjoys affiliation with the Model Bus Federation in the U.K. Meetings are held regularly in Victoria and New South Wales. With members world-wide: in Australia (of course! ), New Zealand, Malaysia, Hong Kong, Singapore and even the U.K. The Trolleybus Museum at Sandtoft is the new working title for Sandtoft Transport Centre Ltd and is the home of Britain's (and indeed, the World's) largest collection of historic trolleybuses. It has Charitable status and is a Registered Museum. Founded in 1969, it occupies part of a former World War II RAF airfield at Sandtoft, North Lincolnshire. Since that time the volunteer workforce have transferred the wind-swept barren site into the attractive museum we have today with the addition of a workshop, with its own pit - vital for chassis inspections and repairs, a toilet and shower-block complete with baby-changing facilities, an audio-visual auditorium, a cycle shop display, a 1950's prefab fitted out with period furniture, a 1911 'tin' house to be used for exhibitions and displays, and the Axholme Stores. The latter is a purpose-built exhibition area which also houses the souvenir shop and the museum's caf�. The Sheffield Bus Museum first opened in 1987. It is home to around twenty vehicles, mainly of local origin and demonstrating Sheffield's intriguing transport history. Previously housed in part of the former Tinsley Tram Sheds, the Museum (re-named the South Yorkshire Transport Museum) was moved to a temporary site at Aldwarke near Rotherham awaiting further re-location to bigger premises. Full size buses are complemented by various artefacts including destination blinds, tram stops, old road signs, models, timetables and tickets. Buses from other parts of the country add a further dimension. The Museum is home to the world's largest collection of working historic London buses and is open daily to the public. 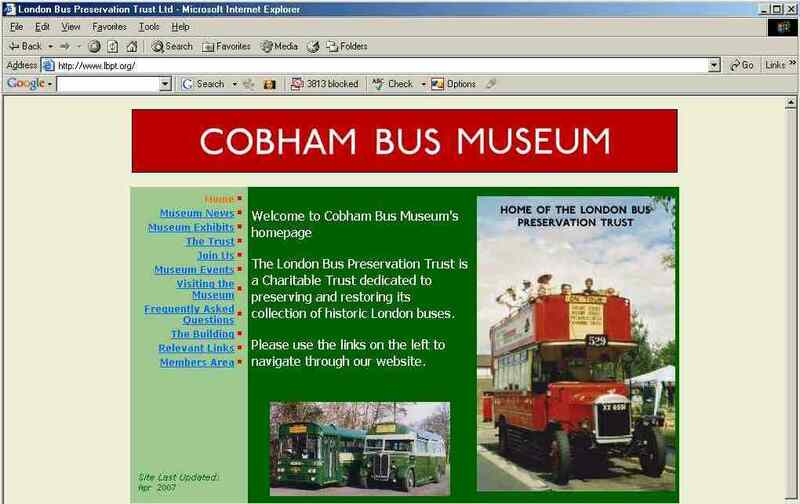 Formerly the private Cobham Bus Museum, the Trust moved to brand-new premises at Brooklands, Weybridge, Surrey in 2011 and now shares a visitor entrance with Brooklands Museum so that one ticket covers both museums. A registered charity run largely by volunteers, the Museum covers over 100 years of London buses, (starting with an 1870s horse-bus), at least 30 of which are always on display, arranged in an historical timeline with informative backdrops. Great Britian's most easterly working transport museum, located near Lowestoft, Suffolk. The large museum collection includes a wide range of vehicles from many towns and cities mainly within the eastern counties of England. Buses, trams, trolleybuses, cars, vans, lorries, steam-rollers, and a wide range of other light commercial vehicles form the backbone of our fascinating collection, many vehicles of which are presented in one of the museum's display buildings. The Museum of Transport has the biggest collection of beautifully restored vintage buses and coaches in the United Kingdom. There are over 80 buses from 1890 to 1980, mainly from the North West of England. 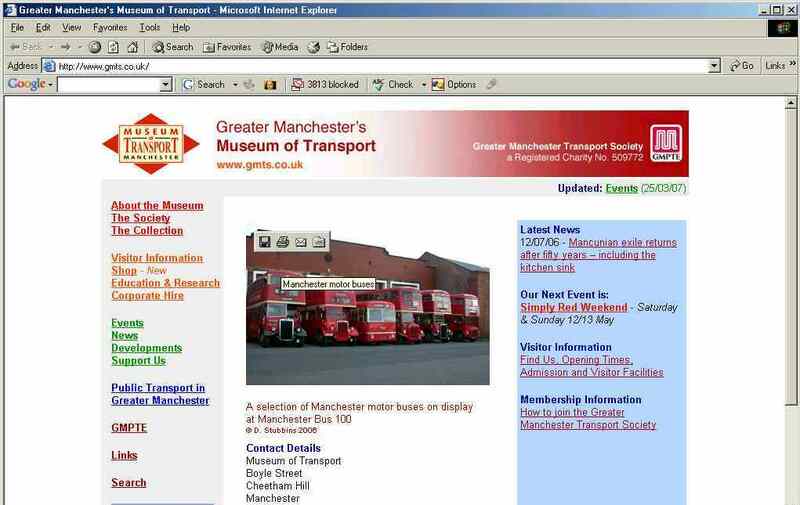 The Museum is about a mile north of Manchester City Centre and is easily accessible. There are also facilities for the disabled. The Museum is run by volunteers and is a registered charity. 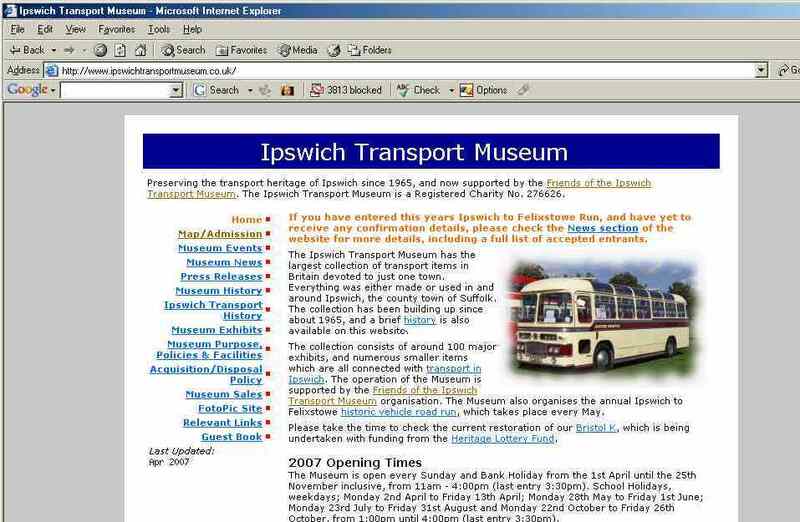 The Ipswich Transport Museum has the largest collection of transport items in Britain devoted to just one town. Everything was either made or used in and around Ipswich, the county town of Suffolk. The collection has been building up since about 1965. The collection consists of around 100 major exhibits, and numerous smaller items which are all connected with transport in Ipswich. Site of the Bradford Trolleybus Association. On the eve of the closure of the Bradford trolleybus system, Saturday, 25th March 1972, the Bradford Trolleybus Association was formed to save Bradford trolleybuses from the scrapyard. It is currently funding the restoration of Bradford 758, and holds monthly meetings in the town. 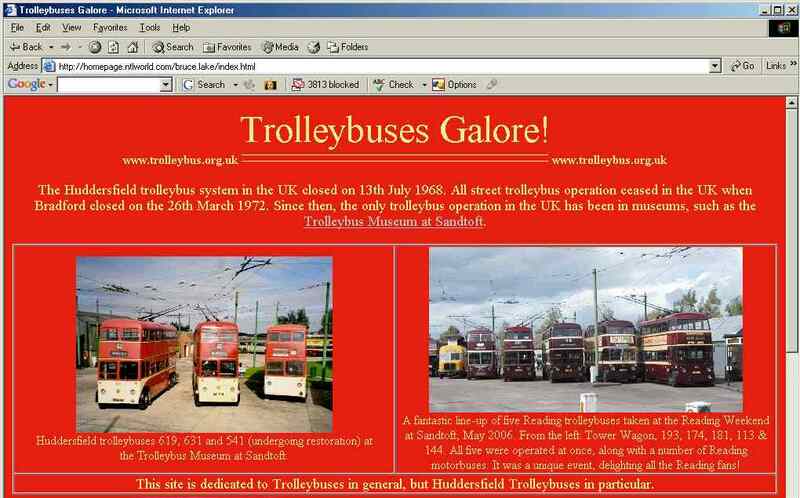 Contains details of the preservation of Huddersfield Trolleybus number 619 at the Trolleybus Museum at Sandtoft, and also albums of photographs from trolleybus systems worldwide. 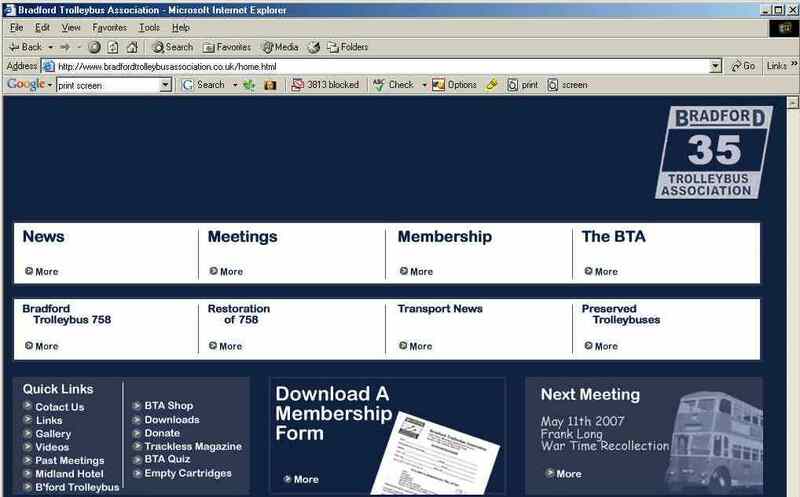 Also has information about 'Ridings', an operational 4mm scale model trolleybus layout with links to videos of it in operation. Transport Models The Transport Models Library contains many photos for and by scale model enthusiasts. There are 315 pictures and many thousands of comments on the site for you to browse through. Better by Miles Professional model-making services and bespoke commissions.